«John Ford and the Indians» tells the story of a meeting. In 1938, as he is searching for a location for his upcoming film Stagecoach which will bring back the Western genre in the spotlight, John Ford discovers Monument Valley and his inhabitants: the Navajos. After their fi rst encounter, both John Ford and the Navajos bravely play their part in the Second World War, before meeting again in 1946 for My Darling Clementine. Until his death in 1973, John Ford will direct seven other fi lms featuring the Navajos. During these three decades, the director and the Indians will carry on discovering themselves and end-up tying strong and lasting bonds. From this, Ford will change his views on «Native Americans» and the way he directs and fi lms them. Thanks to this singular collaboration, Ford will also help them by supplying them work. Based on Ford's personal archives and exclusive interviews, this book is a testimony of a golden age seen by the two sides of this epic story. 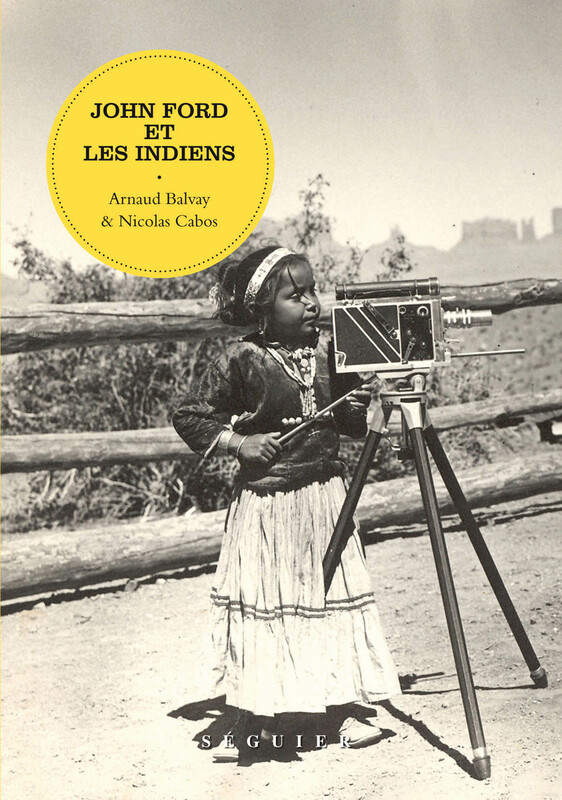 Arnaud Balvay is a doctor in History, specialised in North America and the Amerindians. He has published several articles and books on the subject : Amerindians and Marine Soldiers in Louisiana and in the Pays d'en Haut, the upper country (1683-1763), Quebec, 2006 and The Revolt of the Natchez, Paris, 2008. He has now kept for 20 years a strong relationship with Navajo friends living in Phoenix, Flagstaff or Kayenta. Nicolas Cabos teaches cinema, writes critics and scenarii and is a drama author and director. Teacher at the Superior School of Management, he gives a lecture on Cinema for students preparing their master in audiovisual production. Co-curator of the exhibition The Cinema at Saint-Cloud, the dream and the industry at the Avelines Museum in Saint-Cloud, he also co-signed the exhibition catalogue.HIGHLIGHTS The Fordian myth revisited A tr ue discover y of the Navajos, their histor y and Monument Valley, where they live The golden age of Westerns told in a singular way.  The golden age of Westerns told in a singular way.